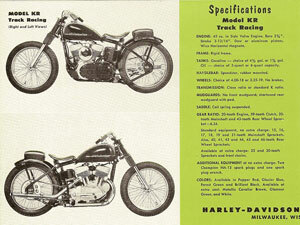 Competition was very important part of Harley-Davidson's sales strategy. "What wins on Sunday, sells on Monday"
The K Model was quite successful in competition. Let's let Harley-Davidson tell the story. 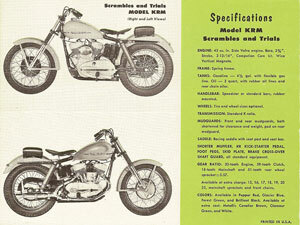 Patrick Delli provided this brochure. 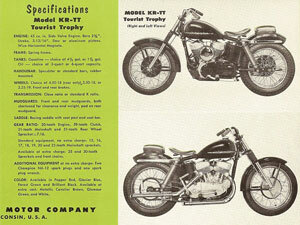 His web site, Harley kr xlrtt has a wealth of information on competition K models. 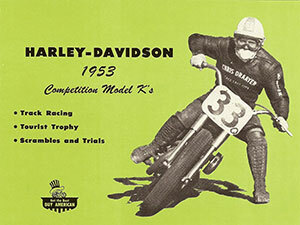 I have long admired Joe Leonard, the famous motorcycle racer. One of his tuning buddies, Jim Carpenter, was a friend of mine. Jim always said I need to meet with him, Joe, and the boys for Wednesday night coffee. Jim left us, and the years passed. 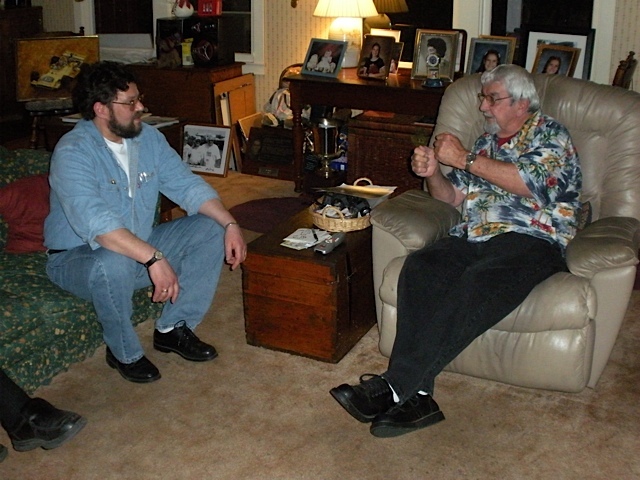 One day I called Joe and asked about a quick visit for coffee as Jim had suggested. “WELL - how long? I'm kinda busy...” “Well, just for 5 minutes so I can say Hi and shake your hand.” “OK,” said Joe. I left my home in Alaska at 5 am Tuesday, so I could drive to Joe's by Wednesday night.